We repair the iPad, iPad 2, iPad 3, iPad 4 (late 2012) and the iPad Mini and can come to you (home or business) or you can bring it in to the hospital (workshop in Annerley). Broken screens, LCDs, audio, home buttons, battery, docking port, external housings (back covers), water damage. For water damage tips see our iPhone repair page. The same treatment applies. Get it to us as fast as you can. 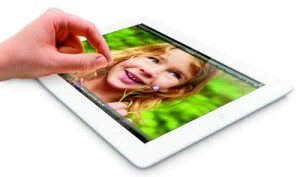 If you don’t know what model of iPad you have then consult this list @ Apple. If your iPad device is still under warranty and qualifies for either a warranty service or out of warranty service then you may wish to get a replacement from Apple.